The percentage of costs that go to childcare varies from state to state, with the national average measuring 30%. New York and Massachusetts came in at 80% of a minimum wage worker’s yearly income, and D.C. measured an impossible 102%. Surprise to no one, raising children is not cheap. Especially if you are making minimum wage and trying to raise a family. While this news is not exactly groundbreaking, the Economic Policy Institute published a report last week that quantifies the struggle minimum-wage workers face when it comes to funding child care. The report, “High Quality Child Care Is Out of Reach for Working Families,” evaluated the percentage of a family’s budget that is spent on childcare, and evaluated factors for a family’s ability to enjoy a living wage. The gap between minimum wage, currently set at $7.25 an hour, with higher wages set in states and in cities, and a living wage is wide, but factoring in child care costs increases the gap significantly. 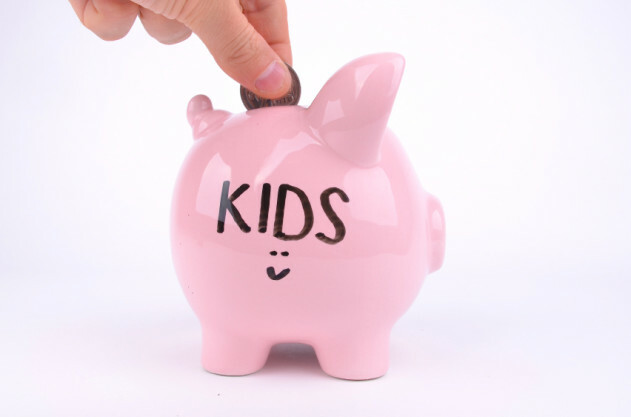 The study measures childcare costs as a factor in a family’s basic budget. The results vary from family type (single parent, two working parents, single child, multiple children), and the cost of living in drastically different municipalities. Where the results remain constant, however, is with minimum wage workers. A single worker making $7.25 an hour cannot meet the family budget threshold with just one child. In states and cities with higher minimum wages, families still fell below the budget threshold. The percentage of costs that go to childcare varies from state to state, with the national average measuring 30%. New York and Massachusetts came in at 80% of a minimum wage worker’s yearly income, and D.C. measured an impossible 102%. The Department of Health and Human Services sets the affordability threshold for child care costs at 10% or less of a family’s income. For a single, full-time minimum wage worker raising a child, the national average is already three times higher than the affordability standard. As for a living wage, for a family of four with one full-time worker to meet a city’s cost of living, not just exceed poverty level, minimum wage would have to increase to over $24 in a city like Philadelphia, where the minimum wage is at the nation’s lowest, and the cost of living is 25% over the national average. Opponents to universal child care ask how the country can afford such a huge expenditure. Given the fact that minimum wage workers qualify for public assistance, Medicaid and food stamps, shifting some of the money spent on child care might relieve a fraction of the burden states are under to fund public assistance. Or better yet, if companies who profit off of low-wage work, specifically fast-food and service industry work, raise their hourly wage so that fewer workers are eligible for public assistance, theoretically that is more money that can go to municipal daycare. This is not a revolutionary idea. It has been done before. During World War II, over 3,000 municipally-run child care centers were open in the country for working women. After the war, and with the failure of the 1946 Maternal and Child Welfare Act, most of the child care centers shut down. This report should come as no surprise to President Obama. He spoke out in favor of universal child care in his State of the Union Address. And he doesn’t just talk the talk. Making observations about what the country needs is a start. He follows through with a plan. The facts are hard to argue with. We need to address child care costs not just for minimum wage workers. But that is a great place to start. Tina Rodia is a freelance writer in San Francisco. She grew up in Connecticut, and has a B.A. in creative writing and women’s studies.